Jill Renee Nortell, age 52, passed away peacefully, Saturday April 28, 2018 at her home in Milwaukie. Jill was born on Sunday January 16, 1966 in Portland at Bess Kaiser Hospital where her mother was employed. She was the first of three daughters born to Gary and Verna. She was a 1985 graduate of Clackamas High School. She enjoyed janitorial training and employment at Starbucks in Oak Grove, Nautilus Plus, and many others. Jill volunteered at Milwaukie Ledding and Lake Oswego libraries. Jill enjoyed the friendships and social contacts of many; she had a real ability to keep in touch with people. 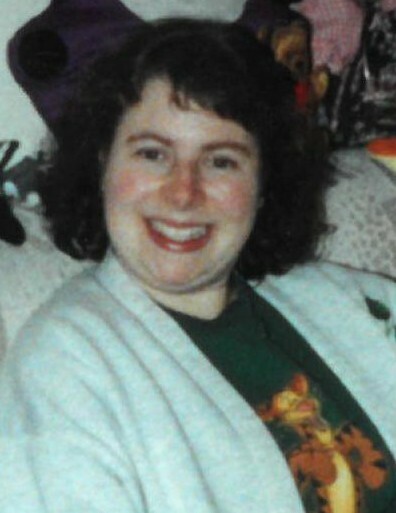 Jill LOVED Disney memorabilia, excursions to Disneyland and Disney World, music, jigsaws, latchhooks, DVDs, and chatting with friends. The family wishes to acknowledge the affection and devotion expressed by her care givers and hospice friends as they cared for her. In lieu of flowers, memorials may be made to Senior Helpers: PMB 385; 25 NW 23rd Place, Suite 6; Portland, OR 97210. Jill was preceded in death by her father, Gary; survived by her mother, Verna; sisters, Terri and Robin; and her uncle, Duane McDonald. All are invited to a Memorial Service 11:00 a.m. Friday, June 1, 2018 at Stehn Family Chapels Milwaukie Tribute Center, Milwaukie, Oregon.